I had never really been to the Western part of the US before my visit to the San Francisco Bay Area. I’ll go ahead and generalize an entire region of the US by saying, “It was pretty.” By the way, here are pictures. They don’t have color. 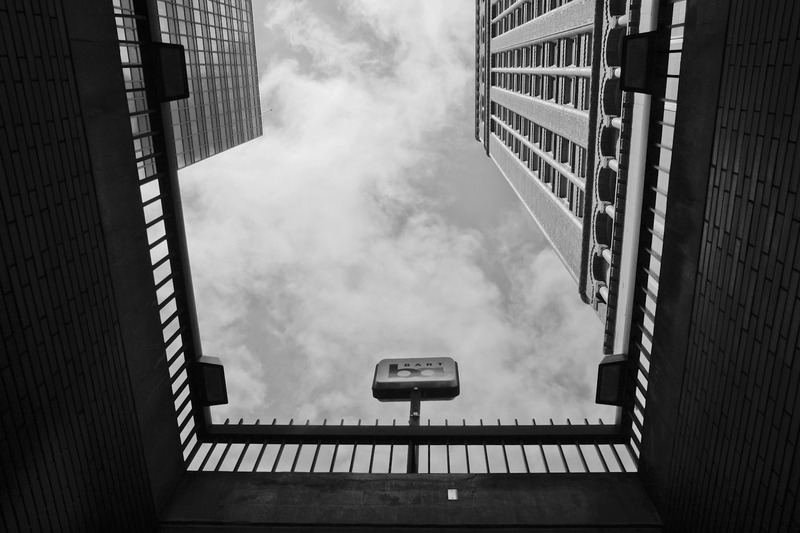 Buildings tower over a BART station entrance in Oakland, the city across the bay from San Francisco. The BART, or Bay Area Rapid Transit, connects several cities around the bay and links San Francisco to the East Bay through an underwater tunnel. 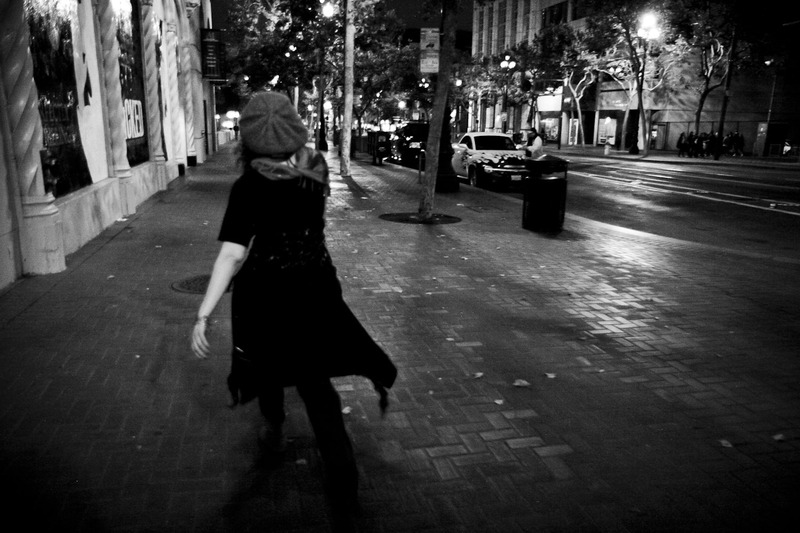 A girl dances and stumbles down San Francisco’s Market Street at night. It looked like the girl had a lot of fun during the evening and was probably still having fun staggering alone in the dark. The top of the Bay Bridge disappears in the afternoon fog. 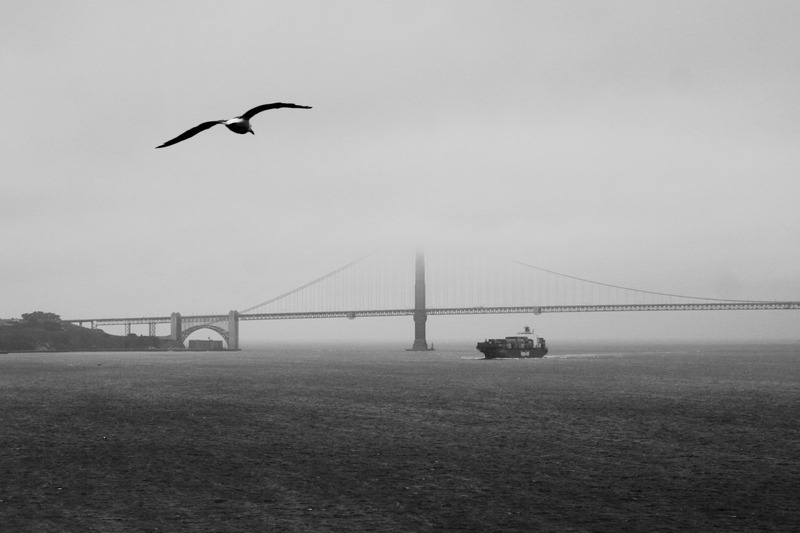 Coming from the humid, upper-90′s weather of St. Louis, San Francisco’s fog and its mid-50′s weather were quite a change. 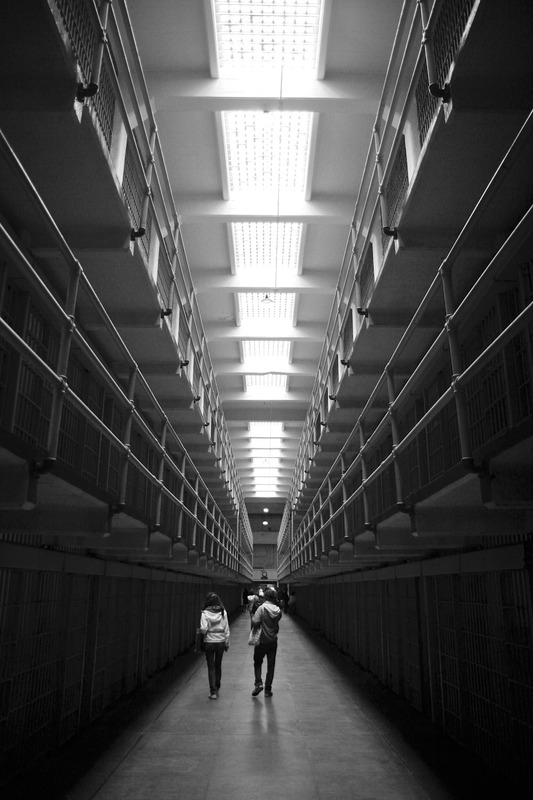 Tourists walk down a corridor filled with prison cells in the former federal penitentiary on Alcatraz Island. The island operated as a federal prison from 1934-1963. Living in these cells didn’t even look too bad. It would be a lot like spending everyday in a cubicle. Zing! Travelers walk through a hallway in the Los Angeles airport. I had a layover in LA on my way to San Francisco, so I spent some of my free time taking pictures. 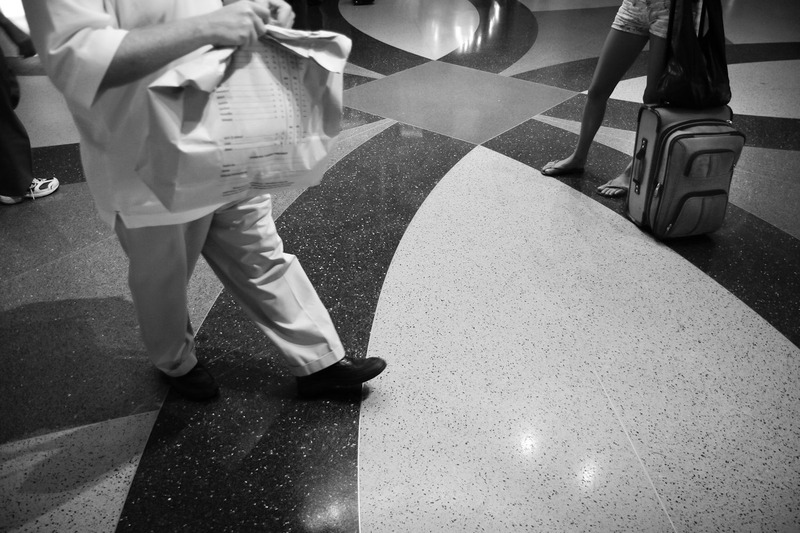 There are plenty of annoyances when flying, and layovers are no exception. However, I did eat a pretty delicious cheese danish in the Phoenix airport on my way home. Props to that Phoenix airport pastry chef. 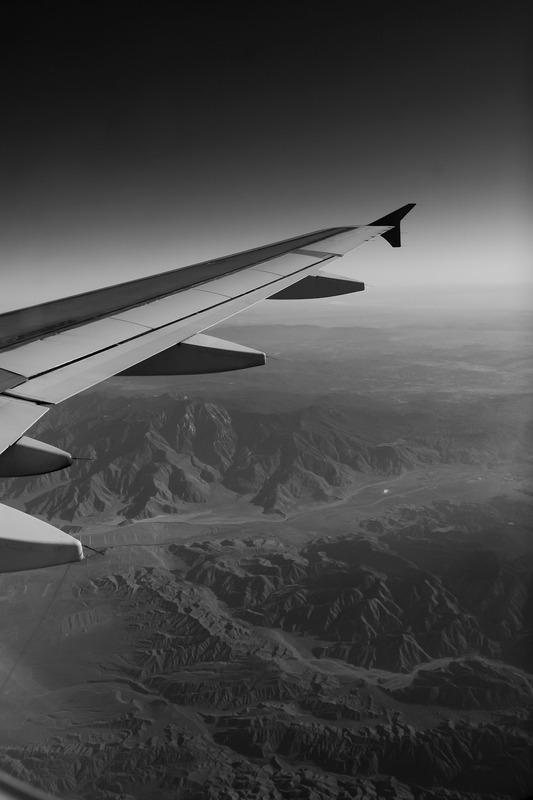 The wing of my airplane stretches out over the mountains of Arizona. Perhaps the only advantage of out-of-the-way layovers (other than eating delicious pastries) is getting to see new landscapes from thousands of feet in the air. Being from the the Midwest, mountains are a pretty exotic sight. And how cool does that wing look?